Welcome to Soils of Canada! This is the first stop for people looking for information about Canadian soils: how they form, what they look like, where different types of soil are found, and how to describe them. 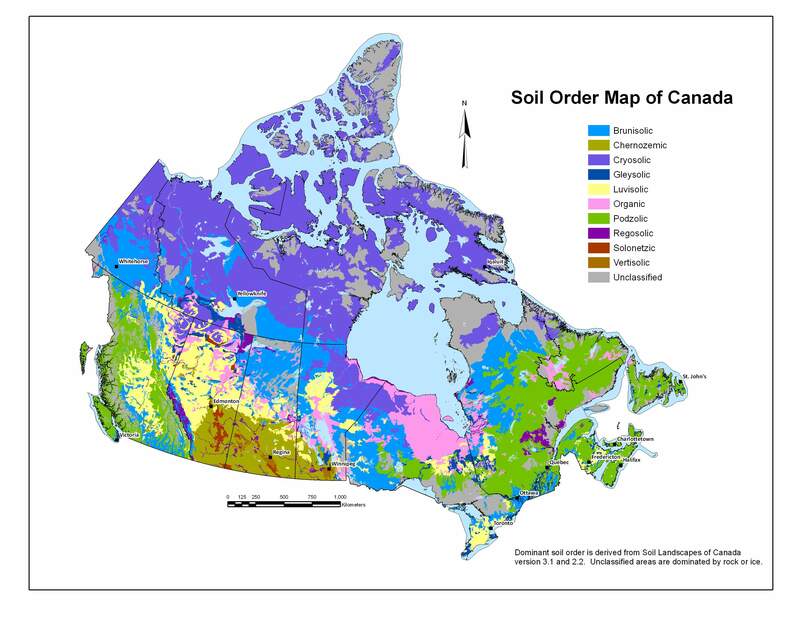 This website has been created by soil scientists from across Canada to give people (scientists and non-scientists) from outside the discipline of pedology information they need to understand the soils around them. The Canadian System of Soil Classification (CSSC) currently includes ten Orders. To start learning about the Soils of Canada choose a topic from the menu above.